(Nashville, TN) July 26, 2018—Today, HarperCollins Christian Publishing (HCCP) announced Cristopher Garrido has joined the company as v-p and publisher for its Spanish publishing program. HCCP’s Spanish publishing program includes product under the Grupo Nelson, Editorial Vida and CLIE imprints. 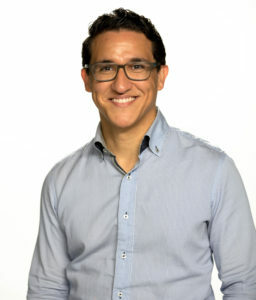 Cris Garrido comes to HCCP after developing and directing a successful Spanish publishing program at Lifeway Christian Resources. In this role, Garrido led both B&H Espan͂ol and the Lifeway International publishing initiatives for the company. During this time, he expanded the company’s Spanish Bible business, as well as taking on the curation of the Spanish point of sale in all Lifeway’s storefronts. He joined Lifeway as the company’s Spanish acquisitions editor with the task to launch the Spanish trade book program, B&H Libros. Garrido also has theological training, earning his Masters of Arts in Christian Education from the Southern Baptist Theological Seminary and a Bachelors of Business Administration from the Universidad Central del Este in San Pedro, Dominican Republic. HCCP continues to focus on expanding its reach in the global Spanish-speaking market. The company will combine Garrido’s successful Spanish book publishing track record, as well as his professional business experience working in Latin America, with its longstanding history of being a leader in the region’s Christian market, to drive its international growth initiatives. As v-p and Spanish publisher for HCCP, Garrido will be charged with overseeing all aspects of the Spanish publishing business, including long-term strategic planning, product and marketing development oversight as well as editorial oversight. He will also be responsible for identifying, pursuing, presenting and acquiring both domestic and international projects. Garrido’s first day will be August 6 and he will be based in Nashville, TN at the HarperCollins Christian Publishing main office. Garrido will also be attending at Expolit 2018 from August 9th through 12th in Miami. About HarperCollins Christian Publishing: The world’s leading Christian publisher, HarperCollins Christian Publishing Inc., comprises both Thomas Nelson and Zondervan publishing groups in addition to Olive Tree Bible Software. The Company produces bestselling Bibles, inspirational books, academic resources, curriculum, audio and digital content for the Christian market space. Also home to BibleGateway.com, the world’s largest Christian website, and FaithGateway.com, an online community dedicated to helping people grow in their faith. HarperCollins Christian Publishing is headquartered in Nashville, TN with additional offices in the U.S. and Mexico. For more information visit www.HarperCollinsChristian.com.